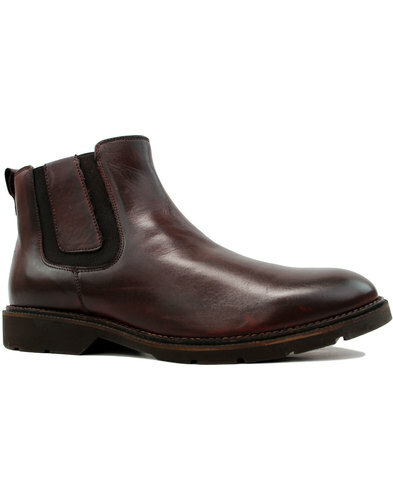 Madcap England 'Vinnie' Paisley Cuban Chelsea Boots in black. 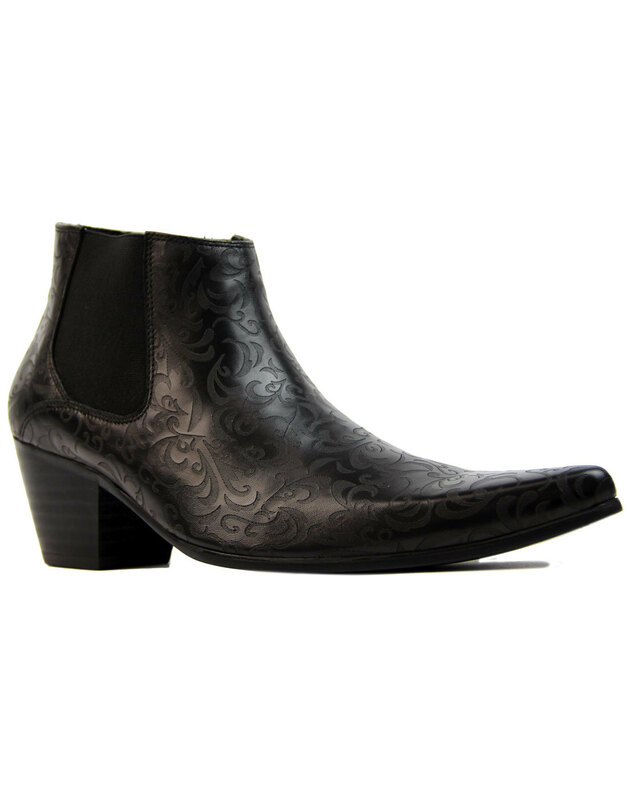 Inspired by 1960s Mod Beatle Boots and fashion from the Psychedelic era, 'Vinnie' boasts a subtle embossed paisley design and one heck of a Cuban Heel! Retro elasticated side gusset detail and Mod Winklepicker pointed toe add to the 1960s charm. Channeling as much Psychedelic flair as Pink Floyd's 'Piper At The Gates of Dawn', the 'Vinnie' Men's Retro Paisley Cuban Chelsea Boots by Madcap England are as cool as a ticket to the 14 Hour Technicolour Dream! 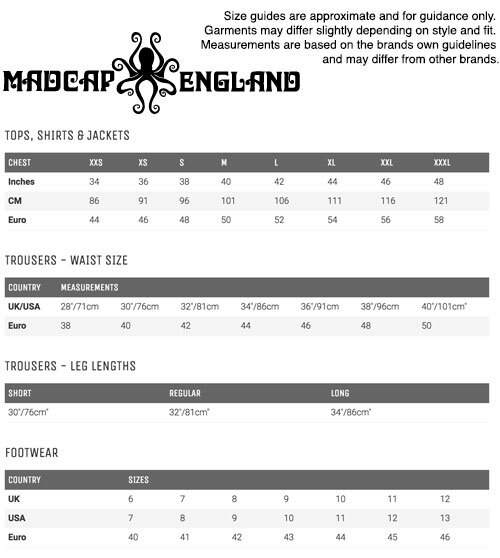 - Madcap England 'Vinnie' men's 60s mod paisley cuban Chelsea boots. - Subtle embossed laser cut paisley detail throughout. - Mod winklepicker pointed toe. - High Cuban Heel (approx 6.5cm). - Stylish paisley fabric lining trim. - SKU: Veer 3 (Paisley Cuban).